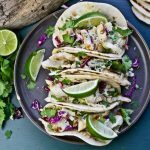 While the primary attractions in Newfoundland are located on opposite sides of the island (click HERE and HERE to read about them), the rugged middle coastal stretch in between shouldn’t be missed. With four days already spent in Gros Morne and the Great Northern Peninsula and hoping to spend at least a day or two in St. John’s, that only left two or three days of my eight-day road trip to see everything in between. I had to pick and choose carefully. The island of Newfoundland is ringed with scenic islands, quaint old fishing villages and rocky peninsulas jutting into the North Atlantic. You really can’t go wrong. Perhaps taking any random exit off the Trans-Canada Highway and getting lost is the best option. But I’m a planner. And my research told me to head north to Twillingate, a quaint town on the north central coast famous for iceberg viewing. Unfortunately for me, icebergs are seasonal. They are all melted by mid-August when I took this trip. If iceberg viewing is on your Newfoundland bucket list, go in May or June. But even without any icebergs floating by, the view from Long Point Lighthouse is spectacular. Sheer cliffs tower over clear blue-green water and frothy waves crashing into the rocks way below. 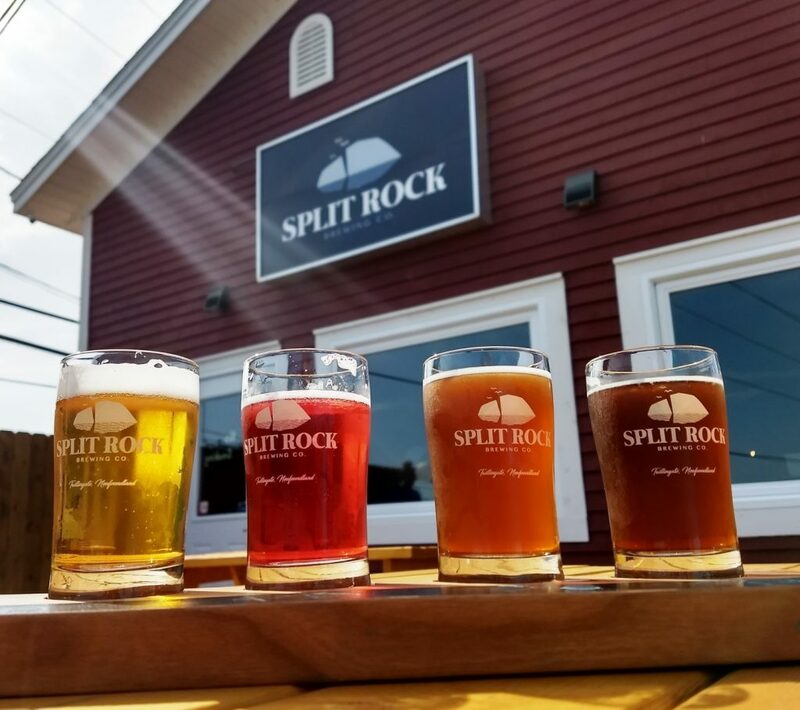 Back in the center of town, shop the local art galleries and quench your thirst in the 65 degree sunshine overlooking the fishing boats at Split Rock Brewing Company. They were celebrating their one-year birthday party the day I was there with free chocolate cheesecake from a local bakery which paired nicely with my Black Island Stout! Of course, man cannot live on beer alone. One of the top highlights of our entire trip was eating lunch outside in the sunshine at a seaside restaurant called Chelsea’s. You can’t miss the giant red lobster out front of this seafood market on route 340, about 50 miles south of Twillingate. You can order fresh seafood in the market. Or go outside and order a lobster roll or fried fish from the food truck. I got the fried platter, which included the obligatory fried cod as well as fried cod cheeks and fried cod tongues. Yes, cheeks and tongues — both delicious traditions in Newfoundland where natives have learned through the centuries not to let any part of the cod go to waste. 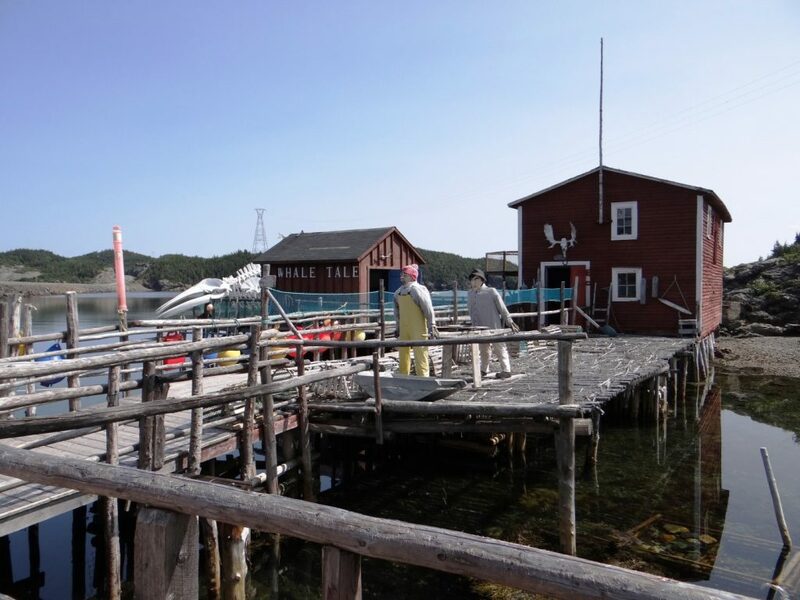 On the way out of Twillingate, be sure to stop by Prime Berth, a well-preserved working waterfront where you can see for yourself how local fishermen caught and processed cod — the economic lifeblood of the province until the government shut down the commercial fishery in 1992. Prime Berth also features two whale skeletons and a fascinating video showing how the owner’s family floated an entire building across the bay to its present location. We concluded the day in Gander, a small town with a big airport that served as a refueling stop for trans-Atlantic flights for decades before the age of jumbo jets and their large fuel tanks. But Gander Airport briefly regained its spotlight in the world of aviation on September 11, 2001 when the United States’ airspace was shut down, forcing dozens of trans-Atlantic jumbo jets already in flight from Europe to divert to Gander. Just one problem. What do you do with 7,000 stranded passengers in a remote town with just 9,000 people? Well, the answer is the entire town sprang into action, unleashing a hard to imagine flurry of hospitality. The story has become a Tony Award winning play that is currently the pride of Canada. We were lucky enough to catch “Come From Away” at the Royal Alexandra Theatre in Toronto the night before we flew to Newfoundland. If you are a real diehard fan of the play, you can even arrange a “Come From Away” tour of Gander where you get to meet some of the real-life characters. 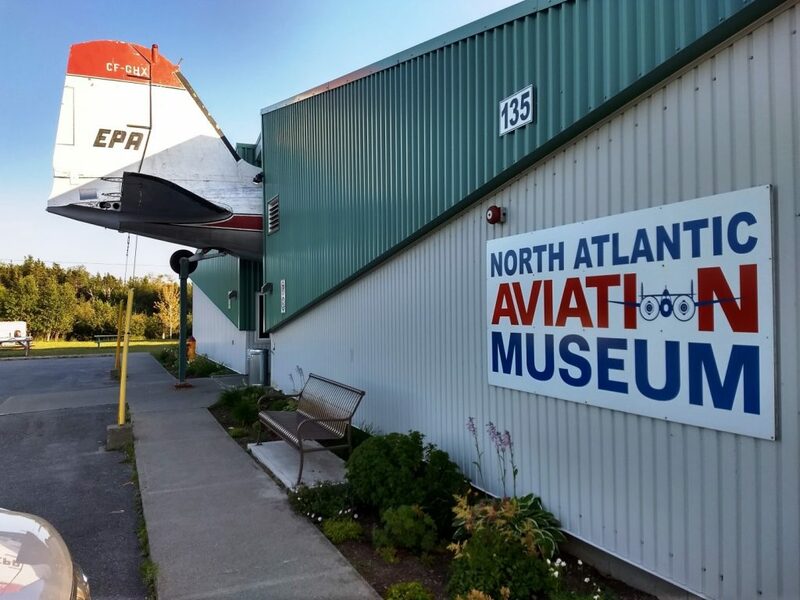 The only real tourist destination in Gander is the North Atlantic Aviation Museum. Unfortunately, we got there just after it closed. But there are still several cool vintage planes parked outside you can walk around and read about after hours. The best restaurant in town is Bistro on Roe, which serves elevated versions (with elevated prices to match) of Newfoundland cuisine. After five straight days of cod tongues, cod cheeks and cod cod, I opted for the $24 gourmet cheeseburger – a welcome change for my taste buds, if not for my wallet. My well-laid plans were to spend the next morning driving around Terra Nova National Park taking pictures of the mountains, forested islands and inlets of this sparsely populated corner of Newfoundland. Much to my chagrin, the fog was so thick we couldn’t see more than 50 feet past the hood of the car. Not good for sightseeing. Or dodging moose. 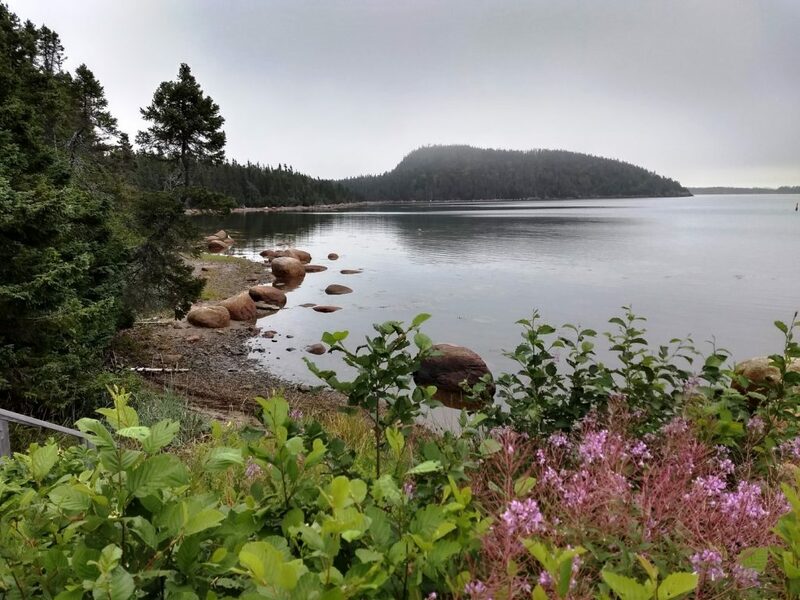 There’s not much to Terra Nova National Park, a preserve of hills, forest and rocky coastline abutting Bonavista Bay. On a nice day, I’m sure a drive up to Blue Hill Lookout would be beautiful. Oh well. Instead we drove down to the Visitor Centre on Newman Sound, snapped a few pictures and hit the road for the Bonavista Peninsula. Click HERE to read about all the sights to see in Eastern Newfoundland, the final and most interesting stretch of my eight-day journey.